I have so many jalapeno peppers in my garden right now. This spring I planted one jalapeno plant, one cayenne pepper plant and one Anaheim pepper plant. So far I've harvested maybe 3 Anaheim peppers, about 100 cayenne peppers and for the past few weeks I've had tons of jalapenos and there are a lot more to come. After picking roughly a dozen late last week, I remembered seeing a recipe for jalapeno popper dip a while back and decided to make it to take to the first football tailgate this past weekend. I am so glad that its football season. Fall is my favorite time of year and the kickoff to college football means its finally time. 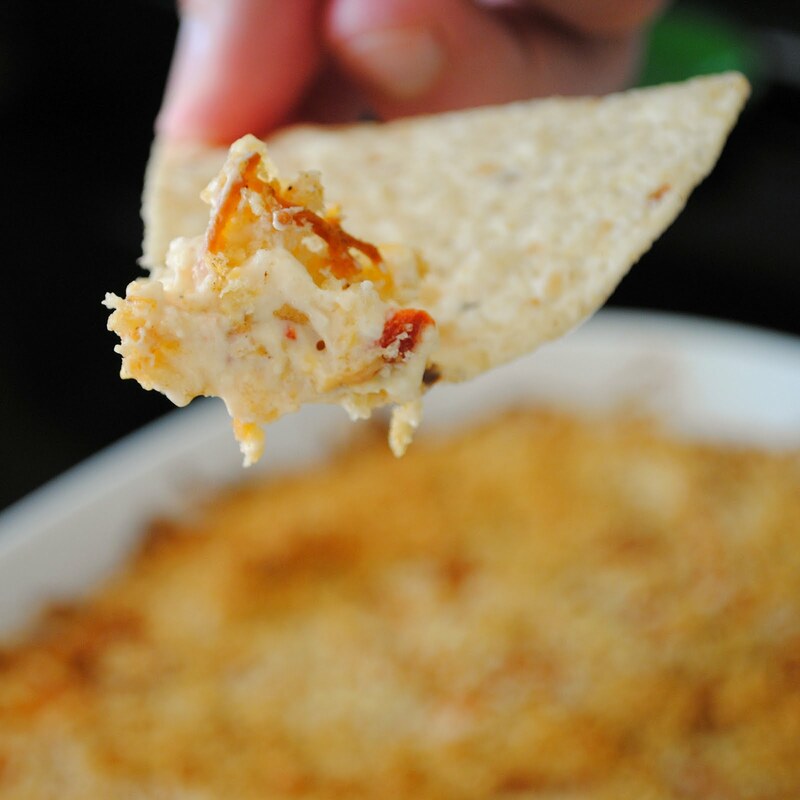 Of course, football season and tailgating also gives me an excuse to make lots of great appetizers and dips. Some of last year's favorite snacks included Goat Cheese Spinach Dip, Oktoberfest Dip, Stuffed Mushrooms, and Cinnamon Roasted Almonds - I'm really going to have to make some of these recipes again soon just so I can update the pictures! Back to the jalapeno popper dip though, you may have to adjust the number of peppers to get the right level of spiciness depending on how hot your peppers are - usually I think the homegrown variety are a little more potent than the ones you buy in the store. This looks amazing. I love poppers. Can't wait to try this dip. Sounds wonderful! My sis-in-law was just saying she had tons of them! What do you think about grilling them first? I'm glad you liked it. I've used the left overs, if there are any, in a tortilla crusted stuffed chicken breast. Yum! Oh YUM! This is perfect football-watching food! My hubby would go nuts for this! @Billie - you could grill them first - it might add a nice smoky flavor. @Jaimiecooks - definitely no leftovers this time, but that tortilla crusted stuffed chicken sounds delicious, I may have to make sure I have some extra next time. This dip is wonderful! I have made it twice to take to parties and it has been a huge hit! I put a full teaspoon of the cumin and chili powder in the mixture and then added more to the panko crumbs. We really liked the added flavor. I think the ancho chili powder is a real key ingredient. That wonderful smoky taste is wonderful. Thanks for the great recipe. Wow, this looks so amazing! Just one question - do you think it would be okay to skip the mayo? We are not mayo fans around here (weird, I know). I love your blog - amazing recipes. 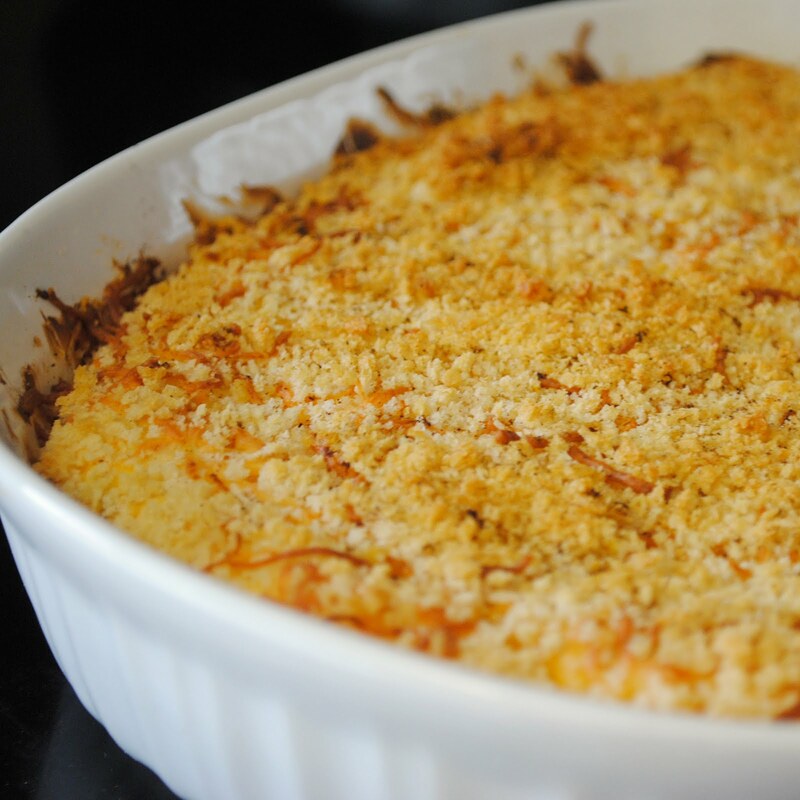 Definitely trying that beer and cheese mac&cheese recipe soon, can't wat! @divya - I would use sour cream in place of the mayo if you don't like mayo. You want something with a little tang to go with the cream cheese. May I post your picture on Pinterest? Yes as long as you link to the post I love when people share my recipes! Wondering if I could make this in a crock pot? I'm guessing you can, although I've never tried it. You won't get the crispy topping though and you may have better luck keeping it uncovered. Had this dip last night at a birthday party!!! Incredibly good!!! !